Live video chat is easier than ever on the Web. 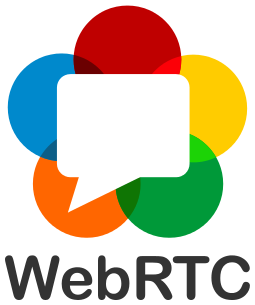 WebRTC (Web Real-Time Communications) is a set of protocols and APIs whose standardization enables this cross-browser and -device communication. The WebRTC framework provides the building blocks from which app developers can seamlessly add video chat in gaming, entertainment, and enterprise applications. WebRTC is widely deployed across all the major browsers, both on desktop and mobile, and has already re-shaped the world of on-line communications. Setting up an audio-video communication system used to require years and millions in investment - now that the major necessary bricks have been standardized and deployed as a royalty-free feature in browsers, it has become a commodity available to any Web site, any Web app. This means on-line live communications no longer needs to be a product - it can be a feature of any on-line experience. Setting up an on-line meeting no longer requires agreeing on apps or plugins in advance - it is just a matter of sharing a link. This also means the Web platform itself is positioning itself as a critical actor in the telecommunications landscape - many telcos and communication service providers have started building or adopting WebRTC-based solutions to enrich their offerings, and as the API stabilizes, we expect many more to join. Beyond real-time audio/video, WebRTC also introduces the world of peer-to-peer data exchanges to the Web: before WebRTC, both the Web and P2P networks have been strong forces of technical and business disruptions, and we can expect that combining the universal reach of the Web with the dissemination power of peer-to-peer networking will provide many new opportunities for rethinking how to build and operate data exchanges. The emergence of P2P Content Delivery Networks based on WebRTC are a clear first illustration of the potential. The W3C WebRTC Working Group worked through 770 issues (and counting), taking great care in ensuring its APIs work well within the security and privacy needs of Web browsers and their users. The resulting API likely represents one of the most complex sub-system exposed to the Web platform today. Developers who started adopting WebRTC in their products over the past few years will know that, as we advanced in our understanding of what needed to be exposed and how, the API evolved considerably, creating challenges in keeping code bases updated, and dealing with different rate of adoption of these changes across browsers. Now that the API is stable, the Working Group will focus its efforts on interoperability - while projects such as adapter.js have helped insulate developers from some of the inconsistencies across browsers, our goal is to bring all browsers to the same level. Great efforts have already been put in our associated test suite, and with the recent release of a dedicated open source engine to facilitate cross-browser testing of WebRTC, we look forward to much more progress in the short term on this front as we work toward bringing WebRTC to Recommendation. and more generally, gathering input on what new functionalities are needed to make the Web platform a strong communication platform (e.g. a call session API?). Many of these will be part of the discussions the Working Group will hold at its meeting during W3C annual Technical Plenary meeting in November 2017. Reaching Candidate Recommendation is thus only one step among the many others we will need to carry out our mission to bring real-time communications everywhere - but it is a major step, which we hope the whole WebRTC ecosystem, and more broadly, Web platform users and developers, will benefit from for many years to come.